Starring: Ben Burtt, Elissa Knight, Jeff Garlin, Fred Willard, Macintalk, John Ratzenberger, Kathy Najimy, Sigourney Weaver. Plot: In the distant future, a small waste collecting robot that slowly begins to become sentient inadvertently embarks on a space journey that will ultimately decide the fate of mankind. My Thoughts: Back in the mid 1990’s the Pixar creative team got together and started a think tank amongst themselves on one fateful day, through their brainstorming of random ideas that day, spawned every single Pixar film ever made from 1995 to 2008, and out of all their ideas, there was one that had yet to be given life, the last piece of their geniuses was none other than a little lonely robot named WALL·E, and after all of Pixar ideas from that day had gone through to the big screen, one still remained, and years and years of waiting silently in the dark WALL·E is finally given life on the big screen, and given the appreciation he so greatly deserved alongside the other greats, I went into this films knowing it would be great, however one thing boggled my mind, just how can they have a film with such little, and I mean very little dialogue, one would think this could end only in disaster, however this was not the case, nor was it the least liked in the lot, you could say they’ve been saving this film for last because it’s the best in the bunch, everything that is Pixar is wonderfully wrapped into this beautiful film, WALL·E has touched my heart in such a way that no animated film has done so in the last decade, the film is more than just a film, it’s an adventure into one’s self, a journey if you will, that will show you both the good and errors in humanity. T he film sends a strong and powerful message about the way we treat this planet, and if we don’t do something to better it soon, we may very well have to abandon it. It also takes a very deep look into ourselves and shows how we are lacking in social and moral fiber that we are losing the very thing that makes us who we are due to technology, the man of tomorrow that is shown in this will surely make you put your head down in shame and wonder, is this possible? Could we really be heading down this dark and downwards path? One cannot help but wonder if such a thing is possible, or fear of it being inevitable. As for the dialogue, I must say, the film has very little to it, with a cast roster of less than dozen actors, however to my surprise the film expresses so much warmth and love without even so much as a word at times and no matter who you are, you could understand everything that was going on as if you was reading it through an unspoken language. These robots had said so much without even saying a word, this kind of geniuses is so very and I mean very hard to find in Hollywood these days, take, and the emotion is so strong, I’d suggest taking a box Kleenex with you or not you well be sorry, I myself fell victim to the high intense emotion of the film, for example WALL·E spent so long alone doing his daily job that over the years he’s developed somewhat of a personality, and because of this he has become so very lonely, all he wants to be loved unconditionally like a human, and like a human he dreams of one day having a special someone to hold his hand. Like I’ve said earlier, so much is said and expressed in this film with such little words that the best way I can put it, is to express what I witnessed in the theater room while viewing it, sitting two seats away from me were a young couple who were obviously very much in love (happened to noticed them holding each other tightly when I reached down to get my drink) and when the scene showing the WALL·E and Eve together flying in space just enjoying each other’s company, I saw the young couple lean on each other with such warmth on both of their faces that it was clear they understood the message that was being said here, I soon caught on too a moments after, it was the Love, the love between these two machines, it was so unconditional, so compassionate, that I could not help myself but shed a few tears to the moment, the message that is said is too few in these days and time do we see the kind of love publicly, too few do we see such a beautiful thing expressed that is true to the heart now days, and the fact that two machines wanted what we so much take for granted asks the question; does being human have to mean being a mammal? Or does being alive really mean one must be born? Does being alive really means being alive when in fact something that never lived is more so alive then most people, if this case no! So much life and personality is shown in something that was never really alive to begin with, but became something entirely unsuspected over so long of being alone and given the time to develop. Plus I cannot stress enough how humorist this film really is, as much as you’ll be touched by its story, so will you be laughing to tears, plus not to mention the Special effect is by far some of the best I’ve seen to date, mixing animation with actual motion picture, which is outstanding to the very end, I had a very good time watching this film, and I urge everyone to see this at least once, this film is the first film to receive a 10/10 from me in 2008, and the first animation from me ever, there is without a single doubt in my mind that this film deserves an Oscar. The story is about in the early 2100s, the Mega-Corporation “Buy 'n Large” took over every service on Earth, including the government. Overrun by consumerism, the planet eventually became so heavily polluted that it could no longer support life. In an attempt to keep humanity alive, Buy 'n Large sponsored an exodus to space aboard hundreds of massive "Executive Starliners", the largest of which is the Axiom. 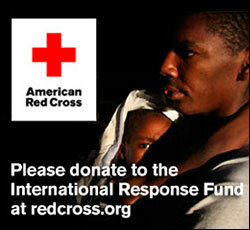 Thousands of WALL·E (Waste Allocation Load Lifter Earth-Class) units were left behind to clean up the planet. However, seven hundred years later, only one WALL·E (Burtt) remains operational, scavenging parts from his inactive duplicates. Refusing to abandon his objectives; he spends his days continuing to clean up little by little and scavenging parts that may keep him in good condition, or what he thinks is interesting, but through all these years of doing this routine, WALL·E developed a personality of his own, and at night when his loneliness gets the better of him he wishing he had someone to hold his hand. This is of course until he meets EVE (Knight) a scouting droid sent to earth to scout the planet for organic life, EVE and WALL·E meet, so enough they become friends, however WALL·E wants to me more than just friends, he has falling in love with EVE, you could say it’s love at first sight, but just as their courting started EVE must go because she completed her scout mission and find organic life on the planet (A plant), not wanting to be alone again, WALL·E secretly hitches a ride aboard the pickup ship, now leaving earth for the first time in his existence he sees things he had never before, but none of which will be as new to him as when he arrives the Axiom, there he witnesses what has become of humanity and why they have not yet returned back home, when they should have only been gone for five years and not 700, there his curiosity of the ship and trying to reunite with EVE leads to uncovering the disturbing secret behind humanities overdue return home. As for the acting; well it’s kind of heard to say on this since it’s an animated film, however B en Burtt was great, his voicing on WALL·E was spot on, I honestly have to say he gives the character the extra bit of emoting that combined with the character bring you a stunning eye spectacle. Elissa Knight was fantastic as EVE, although you can’t really hear he voice a 100% in the film (this is due to it being altered to fit the robot character) there was one scene in particular where just what she had said brought me to tears. Jeff Garlin who plays the captain in the movie, was quite good, he plays one the few humans in this film that has dialogue, and does a really good job at it too. Fred Willard the only actor to not appear in animation form but in real life form did a magnificent job playing as the CEO of Buy 'n Large, and I must say, he really matched the part. It was nice to see John Ratzenberger in this, for many who don’t know, aside from acting, Ratzenberger is one of Pixar’s long time veteran voice actors that has been doing voice work her them in just about every Pixar going as far back as his role as “Hamm the Piggy Bank” from Toy Story, it’s no lie that his name added to the roster of this already perfect film only helped it become an even greater film. Kathy Najimy was a doll on this, her and Ratzenberger’s characters gives the film a small but still lovely subplot which revolves around how they see life in a new light after crossing paths with WALL·E, and also the fact that both actor have a wonderful voicing chemistry on the big screen. Sigourney Weaver was, well it’s hard to saw really because she plated the Ship's Computer, which isn’t much in this, however she does her part just as good as everyone else. 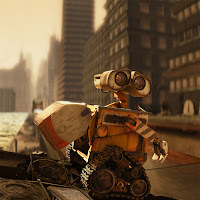 Final Say: WALL·E was probably one of the biggest surprises for me this year, and this is due to the fact I wasn’t expecting it to be as good as it turned out to be, and the fact shocked me to the very last scene in awe, the film was a real emotional joyrides for me, I laughed, I cried, and I downright fell in love with this film, and what shocked me the most was; when the film’s credits started to role the entire audience gave a standing ovation, and for the first time I stood there side by side with the audience applauding for its greatness, I have seriously not seen or done such for a film since my viewing of The Last Samurai while screening it along side local film critics back in 2003. 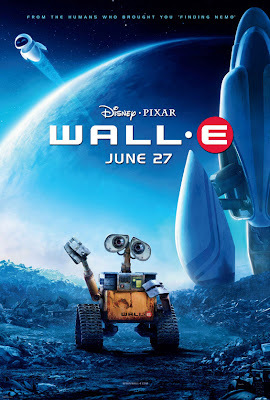 I encourage everyone to see WALL·E in theaters, it’s just one of those films that must be seen in theaters, and is officially on my list of best films ever seen. I highly recommend it.